Help yourself and others improve all areas of life: mental and physical health, marriage and family life, career and self-development, material prosperity, and spiritual progress. A practical guide to creating and interpreting horoscopes for yourself, your family and friends. Now, you can learn to read astrology charts the quick and easy way. And, with greater accuracy than you ever thought possible. A FREE Vedic Astrology software program that is easy to download and install. An online World Atlas resource you can go to in order to retrieve longitude, latitude, and timezone information. 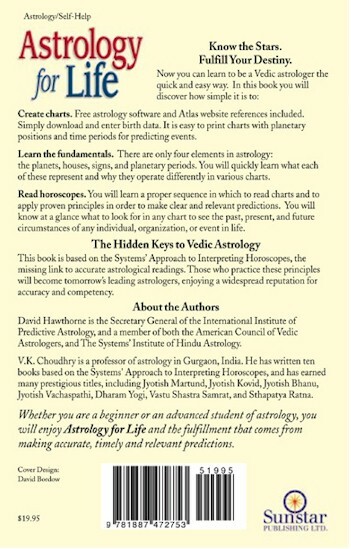 With this book to guide you, it is easy to create and print Vedic Astrology charts with the planetary positions and time periods you will need in order to read charts and predict events. LEARN THE ESSENTIALS. There are only four elements in astrology: 1. The planets; 2. The signs; 3. The houses; and, 4. The planetary periods. You will quickly learn the fundamentals for each of these elements and how they interact with each other. For example, you will learn which planets become functional benefic planets or functional malefic planets for each of the various rising signs, and why planets and houses become strong or weak. You will also learn what to look for in any chart to see the past, present or future circumstances of any individual, organization, or significant event. READ HORSCOPES. 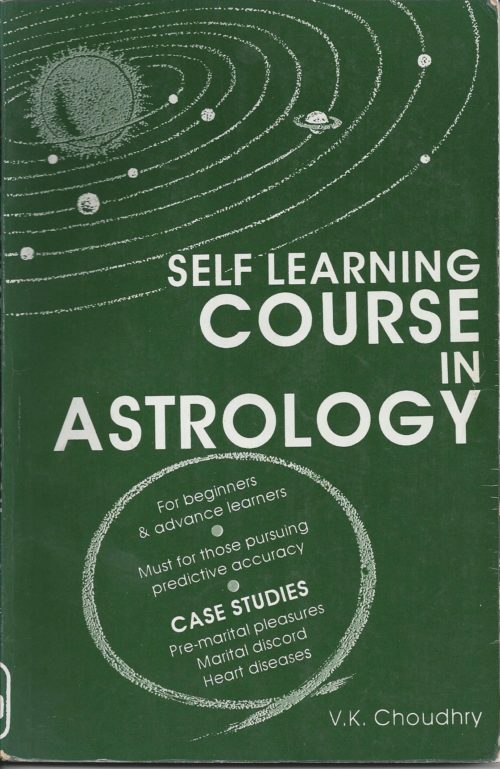 This book will provide you with a simple, systematic approach to interpreting horoscopes. With the Systems’ Approach, you will learn a proper order of sequence in which to read charts and to apply proven principles in order to make clear and relevant predictions. You will learn why the planets operate differently in various charts, and why their significations will or will not manifest. And, when they will manifest. The missing links to accurate, practical, and relevant astrological readings. This book reveals the hidden keys to astrological readings. As developed by Professor V.K. 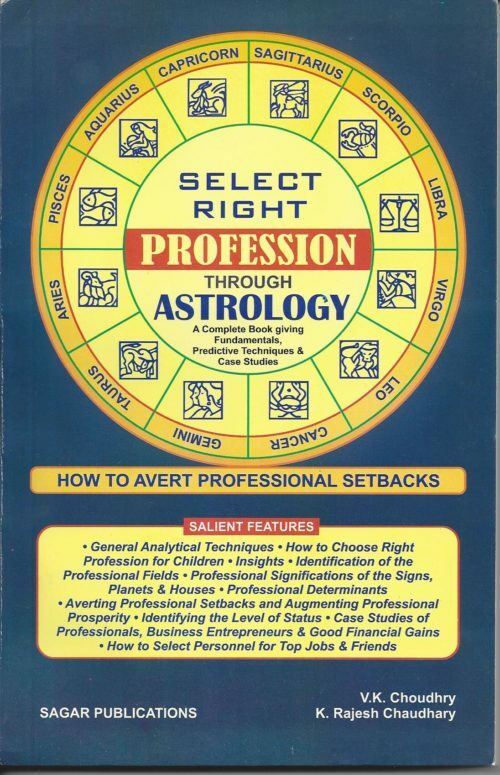 Choudhry of Gurgaon, India, you will learn the Systems’ Approach to Interpreting Horoscopes. The Systems’ Approach is a simple, straightforward approach to Vedic Astrology that is practical, accurate, and replicable. It dispels the inaccuracies, misinterpolations, and inconsistencies generally associated with many other astrological readings. 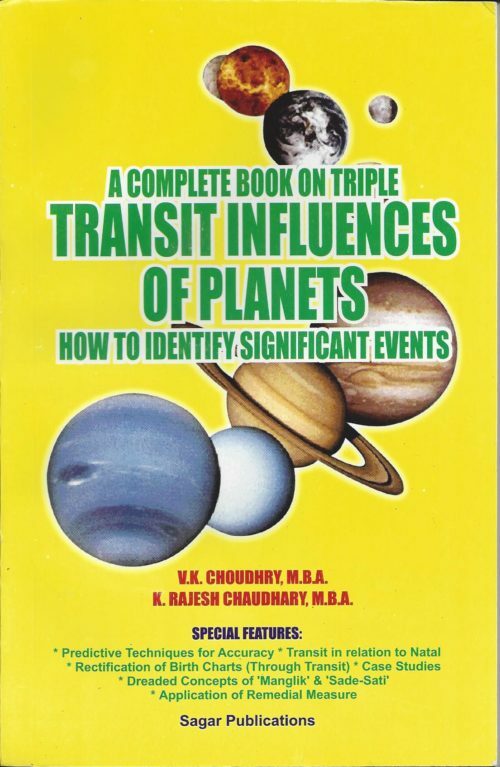 For example, you will learn why most people will never suffer from Saturn or Mars afflictions, such as the dreaded “Sade Sati”, or “Manglik/Kuja Dosha” often predicted by astrologers with varying degrees of education, analytical paradigms, or empirical data. Whether you are a beginner, intermediate, or advanced student of astrology, you will soon enjoy the fulfillment that comes from using the accurate tools of the System’s Approach to Interpreting Horoscopes, and making the timely predictions of Vedic Astrology. 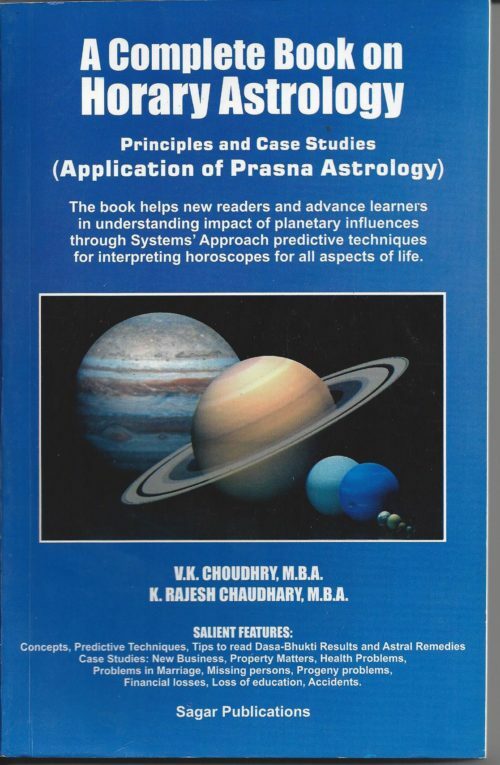 The book, Astrology for Life, includes the basic fundamentals of Vedic Astrology, as well as advanced principles of interpretation, based on the Systems’ Approach to Interpreting Horoscopes as developed by Professor V.K. Choudhry, Gurgaon, India. 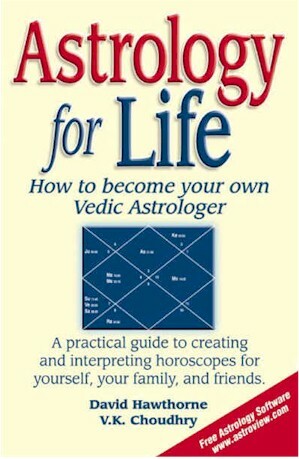 Vedic astrology students of all ages and backgrounds will benefit from this book.